The Sanctuary is a co-created space for soul tending on the Upper Sunshine Coast next to a sheltered ocean beach. Please feel invited to join Ann Marie and Juliette for a heart centered opportunity to set your intentions and become nice and grounded in how we want to hold ourselves through the winter holiday time. ~ Enjoy a Cacao Ceremony. A gentle heart opening way to step out of our ordinary life of "to-do's", obligations, and worries and into sacred space for self-reflection and deep personal tending. ~ Be guided through the Art of Mandala Drawing! Tap into your creativity, zen out and practice mindfulness with this easy to learn sacred, ancient art form. 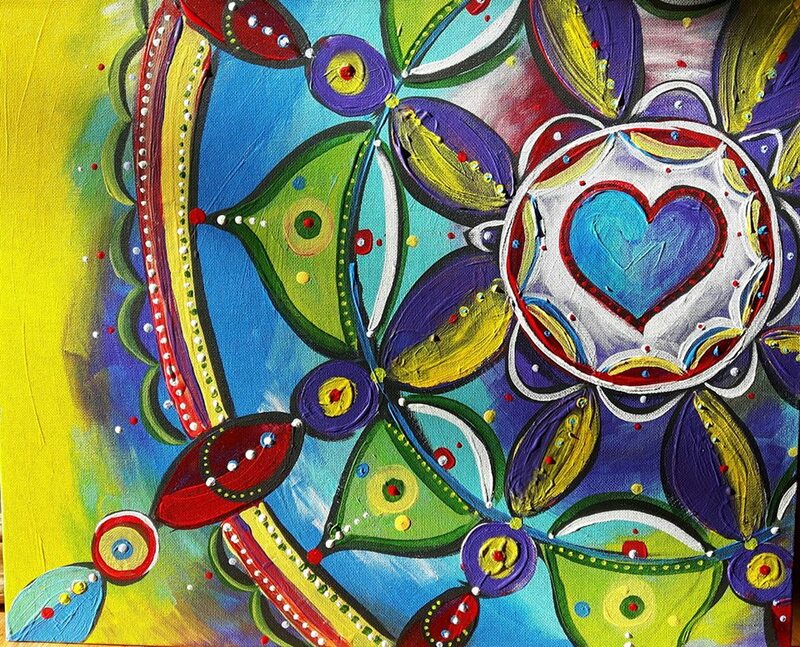 Through mandala drawing, we will discover the significance of shapes and be invited to set an intention for our art. We will gain an understanding of symmetry, creating designs and patterns while connecting with several life area’s at once. No skills required! All supplies will be covered. ~ Share a potluck supper, take a little space or cultivate conversation, what ever you need most. ~ Walk the stone Labyrinth while bringing through the intention that began setting during the mandala creation process. This meditative experience brings another layer of insights into our work. ~ Add a stone to the Cairn as an offering of gratitude for this healing opportunity. A recognition for being held well on this land. ~ Complete the evening by embodying, invoking, and expressing the personal medicines you've been cultivating all evening long through Dance. This is where we bring our personal intention more fully out from the ethers and into the world around us. Move intuitively. Allow our bodies to take up space. We will have a fire going to receive and transform any limitations or unharmonious energetics that need clearing. The aim is to close our time together feeling clear, present, grounded, and ready for all that the season ahead will bring. We will gather at "The Sanctuary" near Palm Beach 20 minutes south of Powell River. A cozy cottage home atmosphere for the first half of our evening, with a stone Labyrinth and Cairn outside while we transition before moving into the 1024 square foot studio space for our dance. Complete with cushioned flooring and wood stove to keep our bodies happy! Address will be shared in your registration confirmation email. *Please Note* We are not receiving overnight guests for this event but will support you in finding accommodations if needed. We are Ann Marie McKenzie, a Desire Map Facilitator & Experiential Educator and Juliette Woods, a Seer & Shamanic Teacher. ​Together we bring a collective 30+ years of experience to holding space for individual and community healing opportunities. and www.3foldbalance.com respectively to glean a better feel for who we are and what we offer.